Six years ago we had a hard time finding Burning Rock even with our GPS, but when we did what we found was not a smoldering pile of granite or coal but instead a diamond in the rough. There had to be a story with the name and sure enough it involved one of those impossible to put out underground mine fires. Coal has long played a huge role in the local economy, and coal mining produced huge piles of refuse tailings which were deposited in a local valley. What nobody expected was that the enormous pressure and heat lead to spontaneous combustion underground. A perpetual smoky haze filled the valley for decades, hence the name Burning Rock! 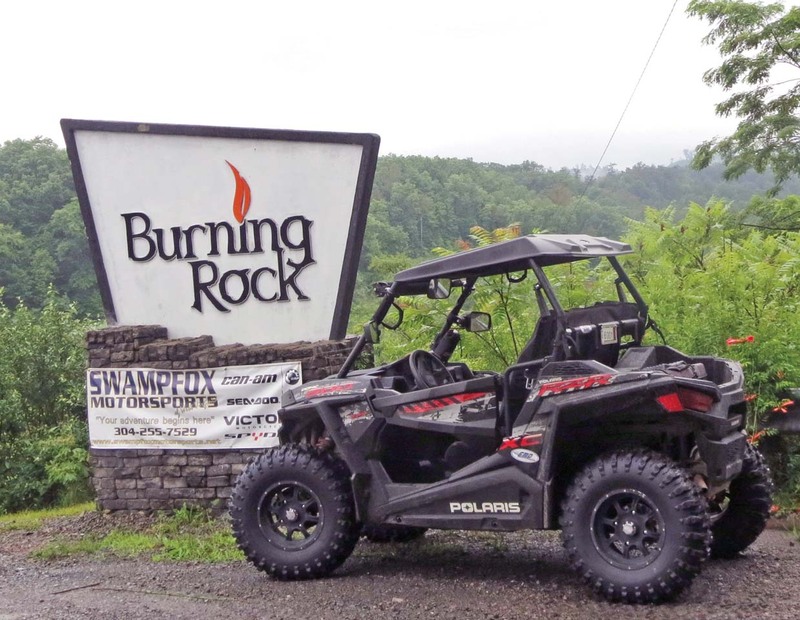 As mining operations wrapped up, excellent recreational opportunities came about and the Burning Rock ATV Resort and riding area was born. Burning Rock sits on land owned by the Beaver Coal Company. 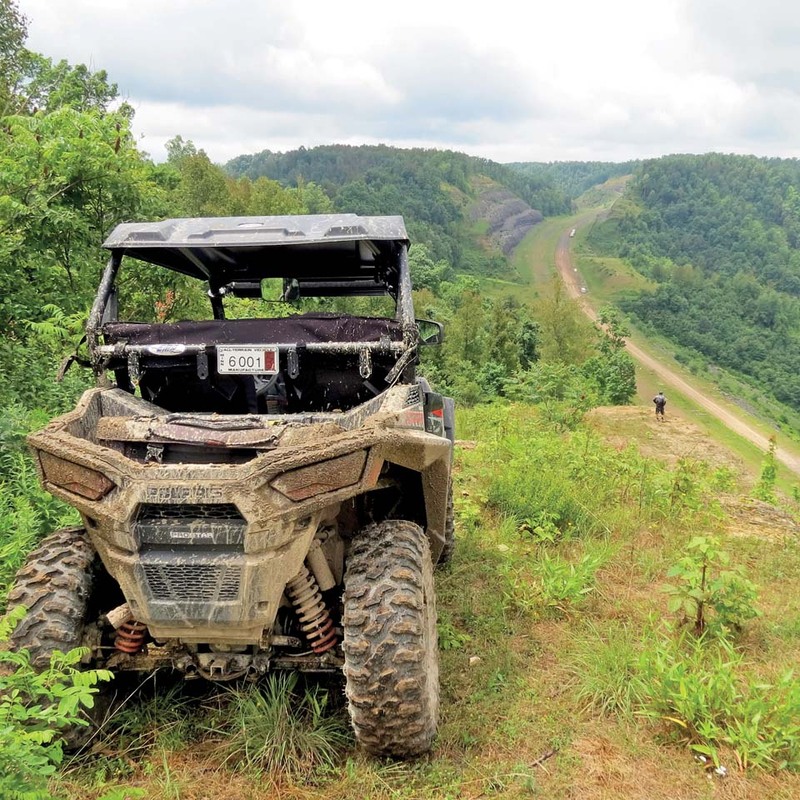 Throughout the years Beaver Coal has worked closely with the Department of Environmental Protection's Abandoned Mine Lands Program to restore the land and transform vast parts of it to recreational and wildlife habitat. After all, the critters have to have a home too! In 1993 a sustainable timber harvest program was started. This program ensures that the volume of timber harvested from the property each year remains less than or equal to the volume that is grown on the property and continually replanted. Today Burning Rock offers over 100 miles of trails on 8000 acres of beautiful, rolling, and mountainous terrain. They’ve got thrills for riders of all skill levels, with open areas, winding trails, and deep forest. Expect ravines, ridgelines, occasional mud, hill climbs, rocky sections, and more. 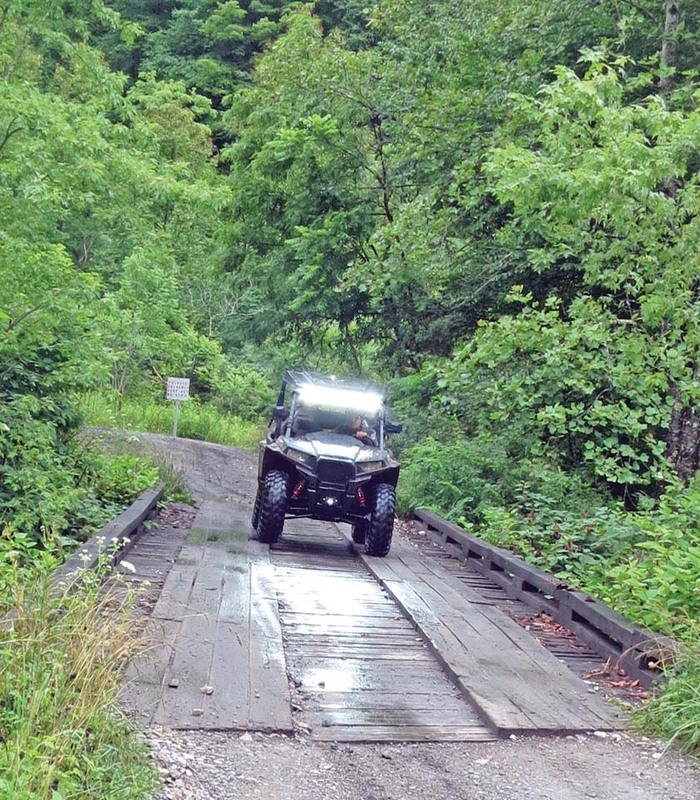 There are trails for every type of bike, ATV or Side x Side, and every type of rider from novice to pro. 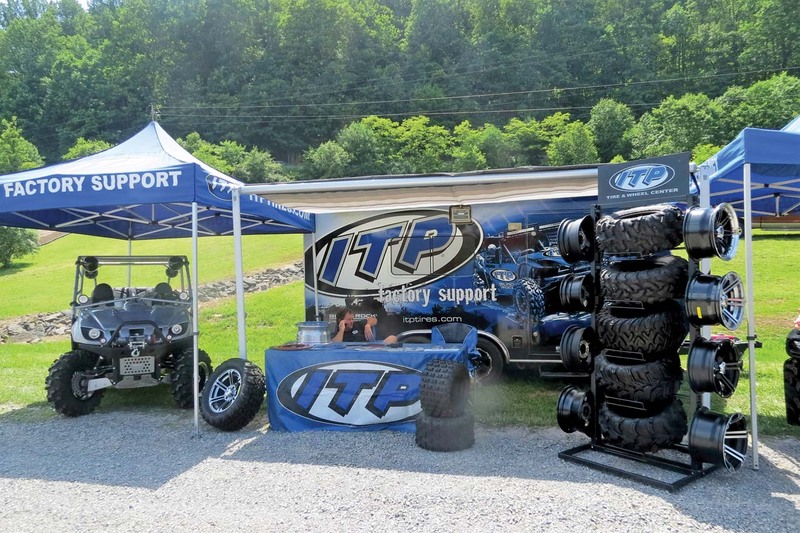 ATV rentals and guided tours are available onsite. Daily, weekly and annual permits are available including a new family multi-permit package. There are also new single track trails and a bypass/observation trail was recently opened. Even more trails are in the works. With so much excellent terrain it was natural to hold a few races, and Burning Rock currently hosts 9 motocross races and 8 Cross Country events. 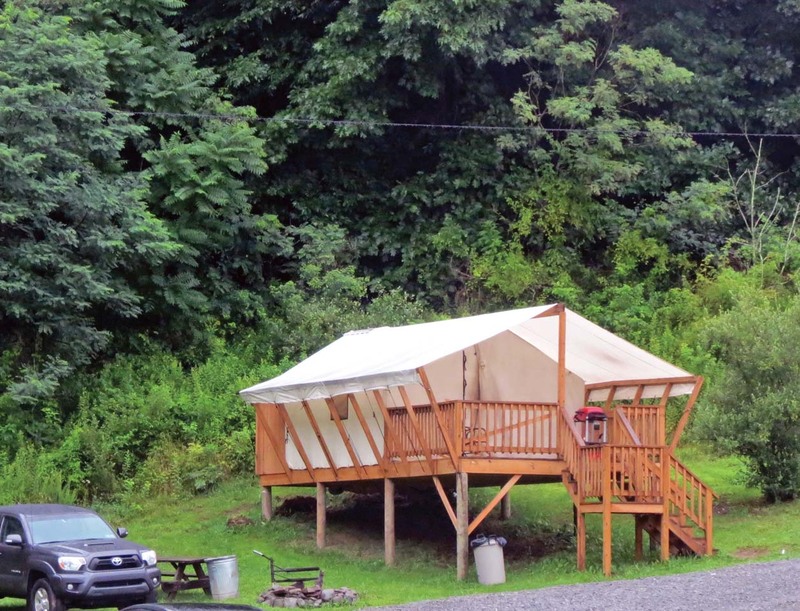 You can even stay on site in one of their cozy rental cabins, or you can pull up your RV or even a tent. If you’re not staying on-site there are hotels and B&B’s close by. Exploring the mountain trails is a great experience and the trails are well maintained, but you’ll enjoy the views as much as the ride. We also appreciate the general store they have on site with everything from snacks, to maps, to spark plugs, and the excellent staff was both knowledgeable and friendly. They want to insure you enjoy your experience at Burning Rock also! The real heart stopper of our visit though was the dual zip lines. If you’ve got the desire and guts to strap yourself into a sling and hurtle down a mountain, Burning Rock has a special ride for you! 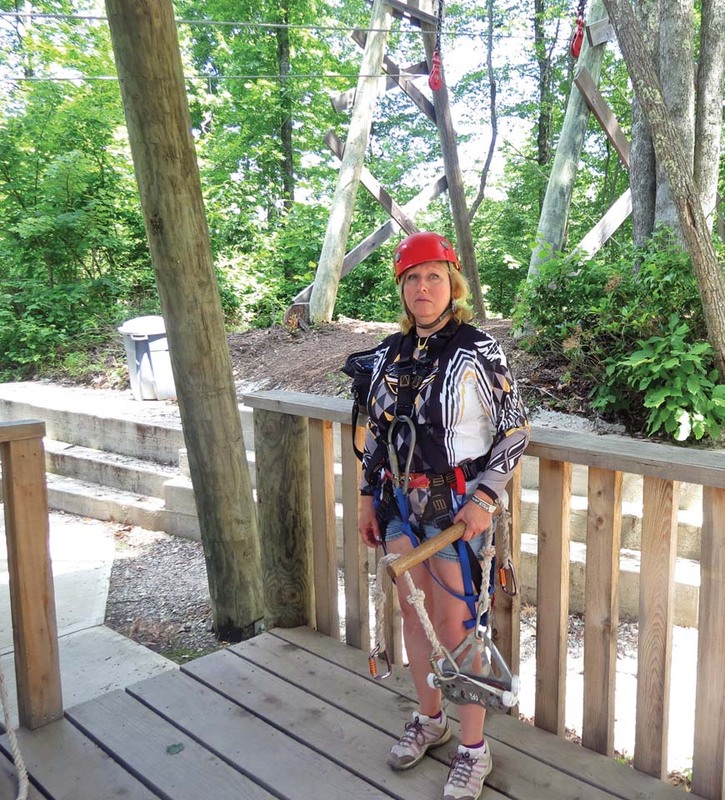 At over 2500’ long and featuring a drop of over 350’, the Burning Rock zip line will definitely get your heart trying to jump out of your chest as you rocket along at over 60mph. If you still haven’t passed out, try it at night! 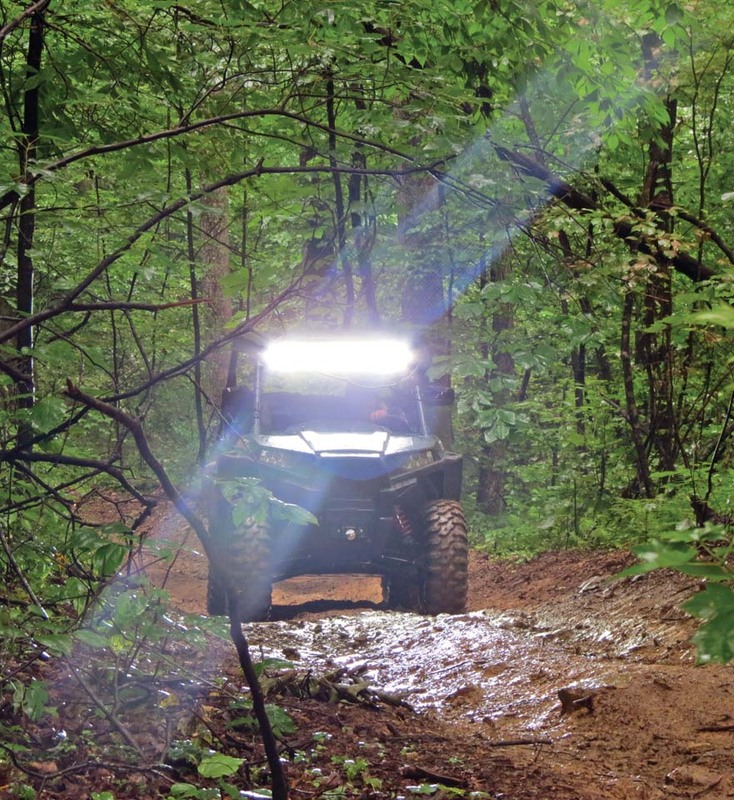 Riding the trails is only part of the adventure when visiting Burning Rock. 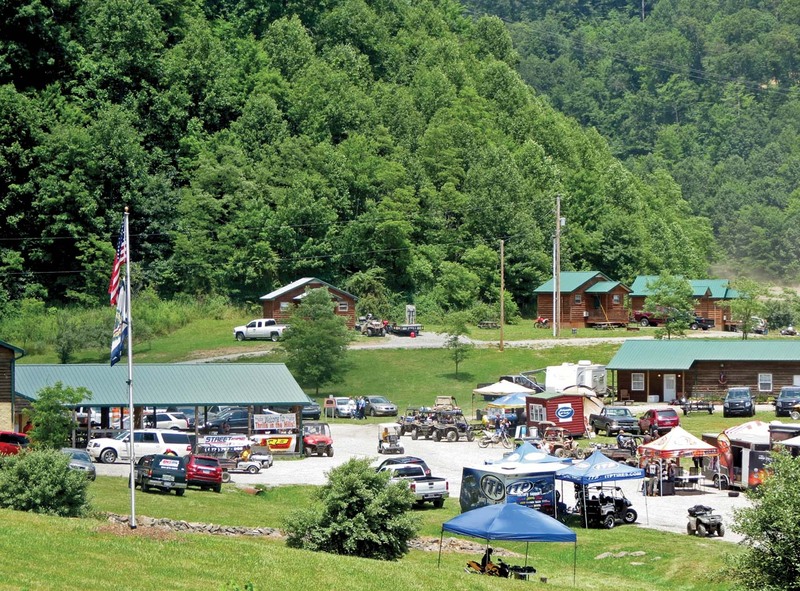 A few of the attractions and activities around Burning Rock in Raleigh County include dining, whitewater rafting, skiing, golf, the New River Gorge Bridge/Canyon Rim Visitors Center, hiking and biking, hunting, fishing, camping, rock climbing, caving, and much more. The Beckley Exhibition Coal Mine and the Tamarack visitor center highlight the best of West Virginia. Sophia and Beckley are lovely towns with a warm, inviting atmosphere. There are some great restaurants and our favorite place is a Gastro Pub called Dobra Zupas. We’ve had some outstanding meals there. Don’t miss the tomato bisque soup and their own mojito creation. 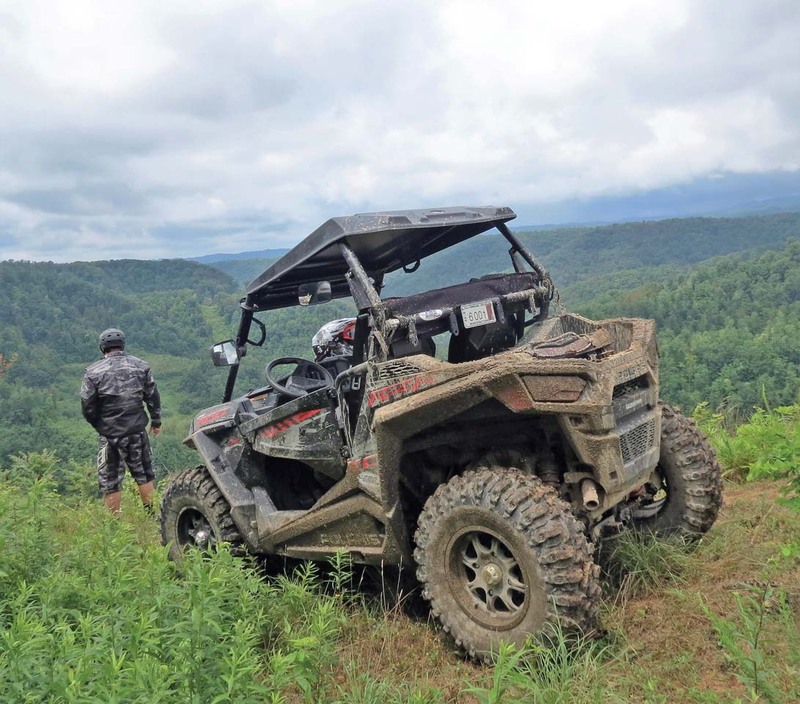 West Virginia offers some of the best riding on the planet and Burning Rock is definitely at the top of anyone’s list of great places to ride. When the day is over there is much more to West Virginia to discover whether it’s the local flair, food, or other adventure activities. They’ve got the total discovery package. DIRECTIONS: From I-64/77 take Exit 42 and follow signs for Sophia. Once in Sophia, turn right on W. Main Street (Rt. 16). Drive for 3.5 miles and Burning Rock is on your left.